Removal ProcedureRemove the drive belt. Refer toDrive Belt Replacement.Remove the engine mount. Refer toEngine Mount Replacement - Right Side.Remove the starter. Refer toStarter Replacement. 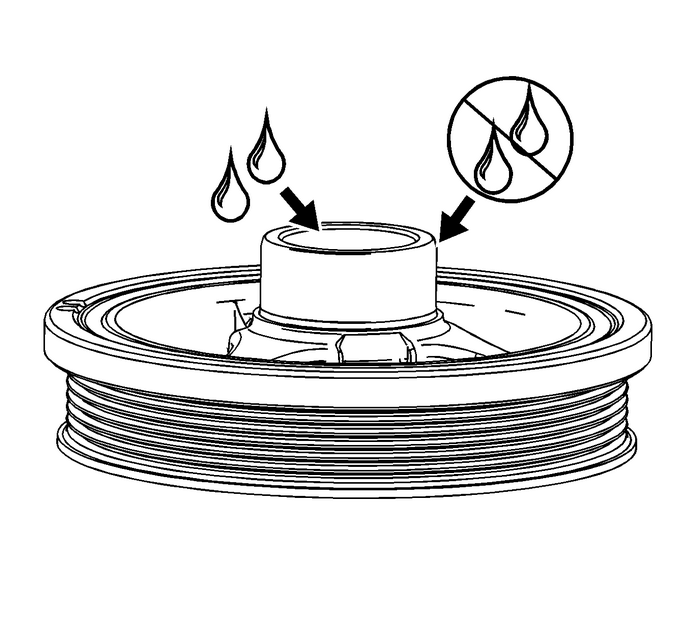 Install the EN-46106 tool(1) through the starter mounting hole. 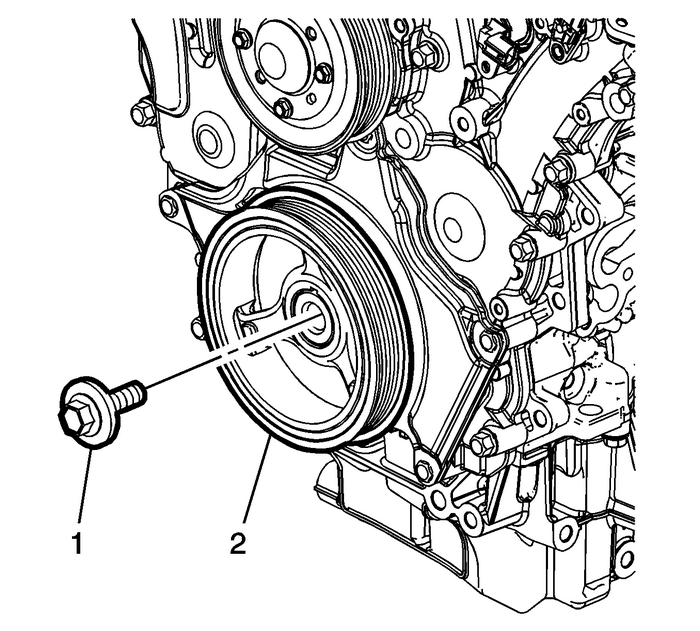 Using engine support fixture, lower engine approximately two inches.Remove the crankshaft balancer bolt-(1). Discard the bolt. The EN-46106 tool(1) must be installed onto the flywheel.Use the EN-41998-B installer, nut, bearing and washer to install the crankshaft balancer. 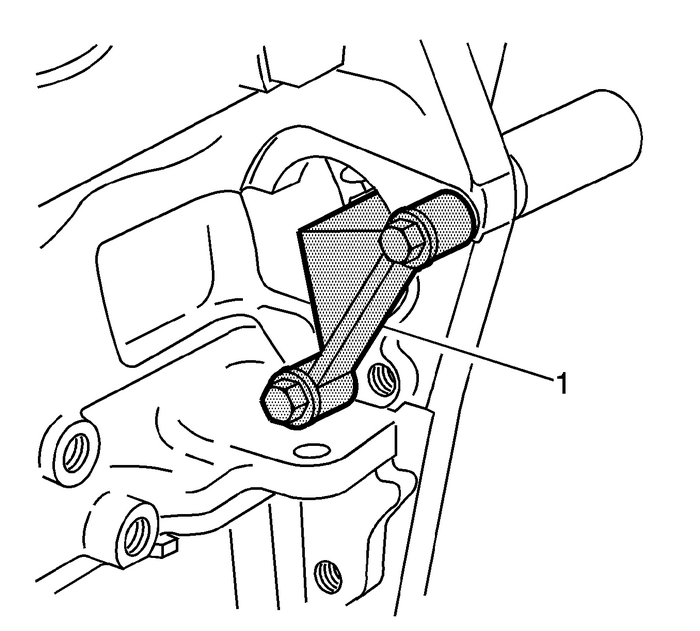 Place the crankshaft balancer-(2) in position on the crankshaft-(3).Thread the EN-41998-B installer(1) in the crankshaft. 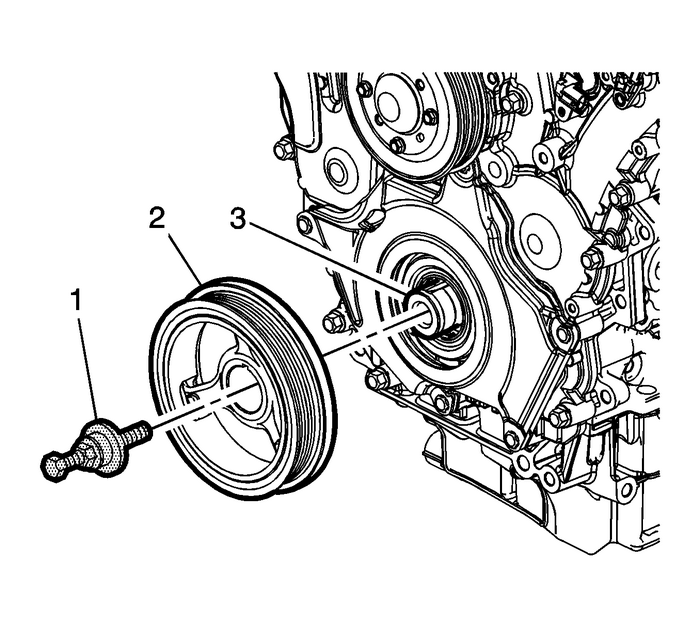 Ensure you engage at least 10-threads of the EN-41998-B installerbefore pressing the crankshaft balancer in place.Push the crankshaft balancer into position by tightening the nut on the EN-41998-B installeruntil the large washer bottoms out on the crankshaft end.Remove the EN-41998-B installer. Note:Always install a new crankshaft balancer retaining bolt-(1) and washer. Install the NEW crankshaft balancer bolt-(1). Tighten the crankshaft balancer bolt to 100-Y (74-lb-ft) and an additional 150-degreesusing the EN-45059 meter. Remove the EN-46106 tool(1) .Install the starter. 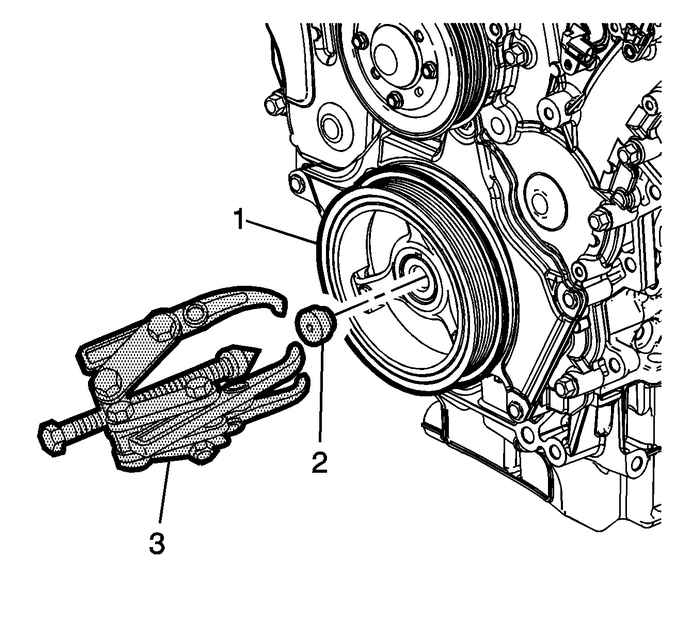 Refer toStarter Replacement.Install the drive belt. Refer toDrive Belt Replacement.Install the engine mount. Refer toEngine Mount Replacement - Right Side.